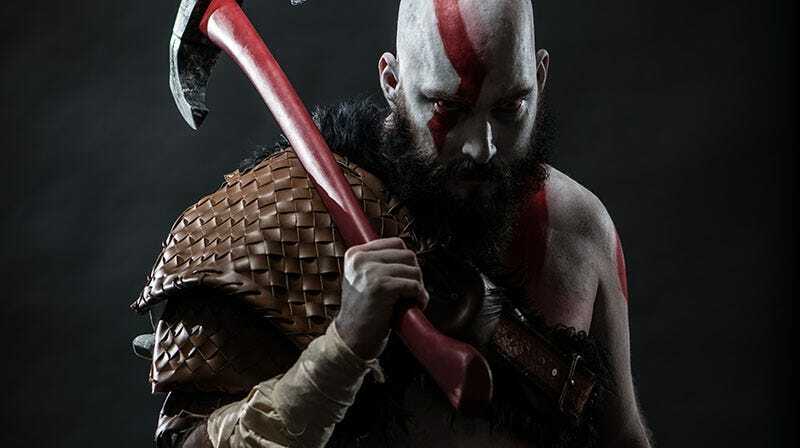 This is Troy Schram, dressed as Kratos as he appears in the upcoming PS4 edition of the series. And yes, the beard is real. All photos by Damon Wilson-Hart.